Simon & Schuster Books for Young Readers, 9781481411424, 784pp. From the coauthor of the New York Times bestselling The Shape of Water comes the second and final book in the “utterly riveting” (Entertainment Weekly) epic tale about a murdered teen who is resurrected to walk the earth for more than a century. 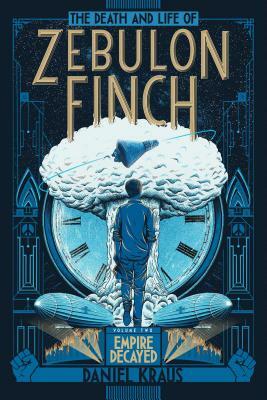 Enthralling and gut-wrenching, The Death and Life of Zebulon Finch, Volume Two: Empire Decayed is the conclusion to the epic saga of one young man’s journey down the long road to redemption. "Empire Decayed is a multilayered novel; Kraus provides a commentary on American history while at the same time exploring issues such as family, religion, and power."